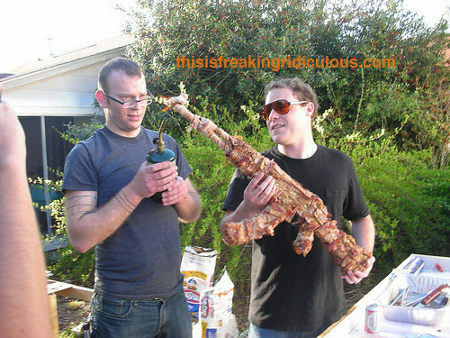 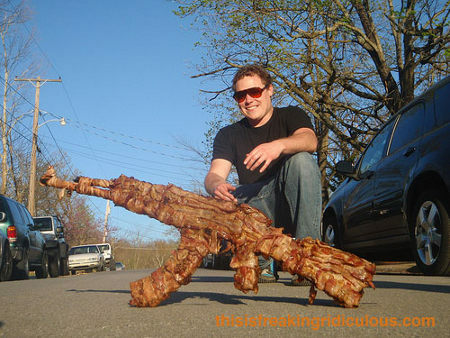 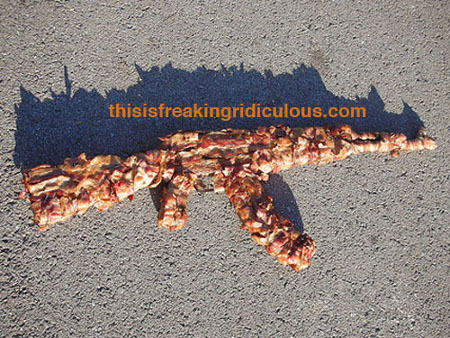 Everything is better with bacon.... including an AK-47 Assult Rifle apparently! 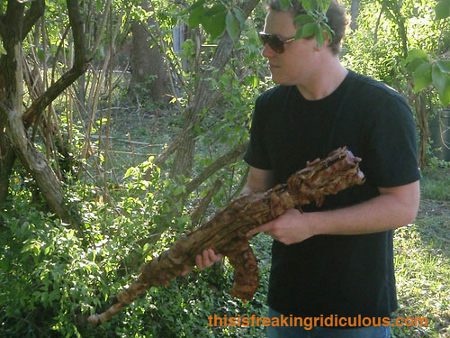 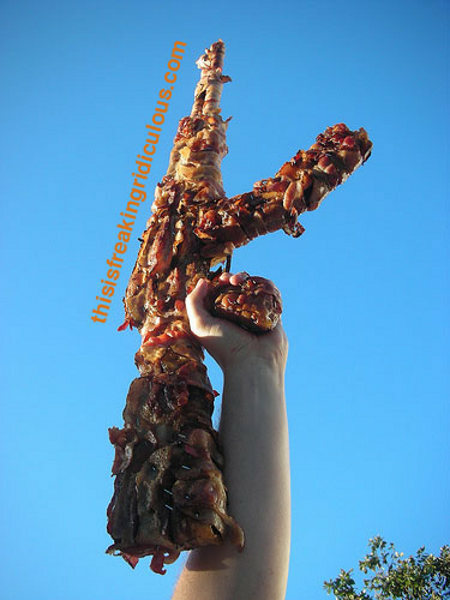 Covered in bacon, this is one meaty piece of artiliary that will be sure to scare off any pork hating enemy. 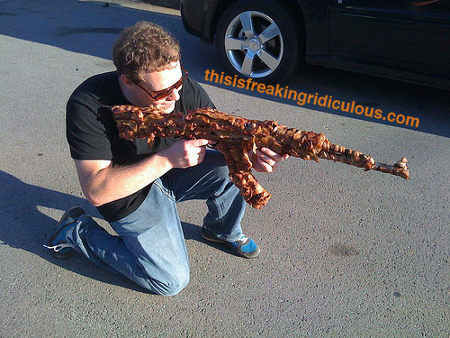 I wonder if the bacon cooks if you fire off a few dozen rounds?